For eight nights we kindle our hanukkiyot, adding illumination and enlightenment as we re-dedicate ourselves to the moral insights, meaningful rituals, and lofty ethics of Judaism that are so vital in our world today. Shabbat Hanukkah each year is met with a joyful evening featuring latkes, singing, and hanukkiah lighting. 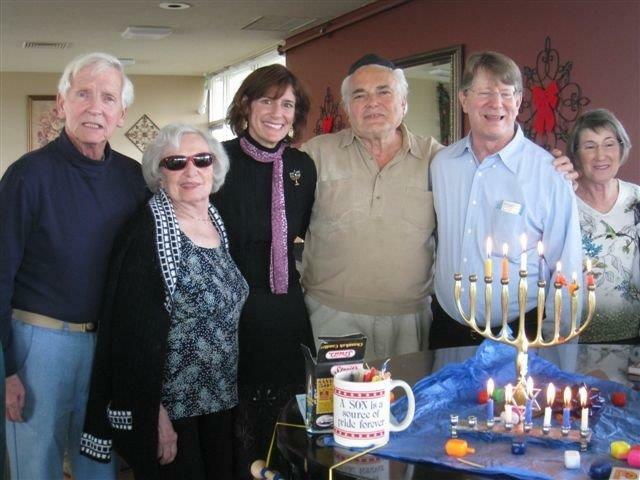 Check our TBT Calendar for community celebrations on other nights of Hanukkah!